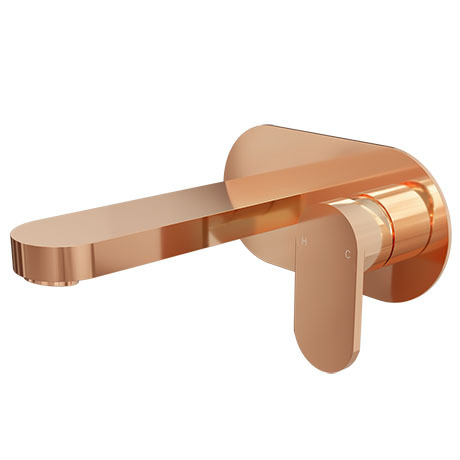 The modern Elite wall mounted bath filler, manufactured from brass with a stunning rose gold finish. The Elite brassware range is characterized by it's stylish rounded face plate and spout with a single lever tap head providing control for flow and temperature. It's minimalist design makes this tap well suited for any style of bathroom.